RAYAGADA, India, Apr 27 2012 (IPS) – Tribal farmer Harish Saraka has rediscovered the key to sustainable farming in this rain-dependent hinterland of eastern Odisha state – mixed cropping. Saraka, 38, is careful not to take credit for helping to turn around farming in this area, in the news just a decade ago for starvation deaths. “All we are doing is returning to our grandfathers’ practices,” says this member of the Kondh tribe. Saraka recalls that his forebears sowed three different seeds in the same field: millet, legume, oilseed and maybe a creeper bean. 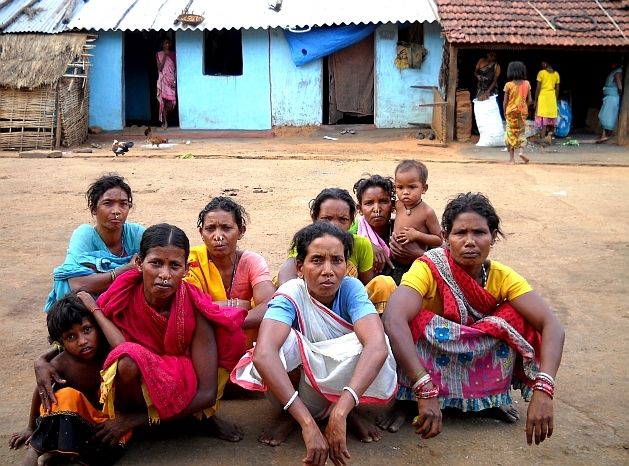 The 72 Kondh households in Saraka’s village of Munda, in Rayagada district, reside in the foothills of the Niyamgiri Hills, stretching over 250 km, that the London-based mining major Vedanta Resources Plc has been trying to exploit for its bauxite deposits. “The environs, the climate and the forests have changed drastically,” murmurs Bhima Saraka, 65, almost to himself, resting on a sagging string cot in front of the thatched house where he lives with 23 of his kinsmen. The rains, he observes, are “regularly irregular”, resulting in crop losses year after year while Kondh families have grown in numbers, putting pressure on the forests they once shared with tigers and where they harvested tubers and fruits. For Harish Saraka and other subsistence farmers in 70 Niyamgiri villages in Rayagada, adapting to changing conditions meant reverting to traditional farming methods such as mixed cropping, the use of organic fertilisers and trusted seed varieties. So, while farming has been failing elsewhere in Odisha, Harish Saraka has been cultivating not three but 14 crops on his half-hectare land since the last two years – enough to see his family through the lean August-December season. “I now harvest 300 kg of food grains, a 200 percent increase from the earlier single-crop high-yield paddy farming,” says Saraka. In Kerandiguda village, Loknath Nauri, 58, is the first to try mixed farming on a portion of his one-hectare hilly stream-fed land that he got under a government programme for the landless rural poor. “Seeing my good harvest, ten other households here have decided to try their luck this year,” says Nauri, who is ready to share his seeds with them. “The Kondhs’ once self-sufficient and local resource-based agriculture system was affected by the introduction of commercial high-yielding paddy,” says Debjeet Sarangi who heads ‘Living Farms’, a non-government organisation (NGO) that works with marginal farmers. Bhima Saraka told IPS that a few years back, Munda villagers were lured into planting high-yielding paddy seeds given free by the government along with chemical fertilisers. “The seeds were old and many did not sprout, while the fertilisers demanded water, and we have no source except the rains,” he says. “None got much out of this ‘free gift’ except an important lesson, that their local seeds – acclimatised to their dryland soil and more able to withstand monsoon’s unpredictability – were indeed their lifeline,” says Sunamajhi Pidika, Living Farms’s local field organiser. ‘Ailing Agricultural Productivity in Economically Fragile Region of India’ – a recent study published by the Bhopal-based Indian Institute of Soil Sciences found that the cultivation area for small millets in Odisha had declined by 500 percent over the last 40 years. The popular perception is that the government policy is pushing in cash crops to the detriment of subsistence millet-farming practiced by communities like Bhima Saraka’s. “The government is not coercing the tribal people, just putting intelligent choices before them,” said Nitin Bhanudas Jawale, administrative head of Rayagada district. “In discussions with village elders we came to know there are varieties of millets and pulses which can tolerate heat and water stress,” says Sarangi. “I have heard my grandfather talk of the 11 varieties of millet that his father cultivated,” recounts 24-year-old Prasant Wadraka from Gandili village while waiting at the government’s tribal development office to collect free tin sheet roofing. According to Wadraka, near-extinct millet varieties include one called ‘kodo’ which has medicinal properties to control diabetes. Millet is packed with protein, B-complex vitamins and minerals, nutritionists say. “The movement in India to return to traditional seeds is growing stronger and at country inter-NGO level too we exchange seeds to supplement local communities’ seed needs,” says Sarangi. In 2008, Living Farms began a programme of giving poor families seeds on condition that after harvest the same quantity would be returned plus 10 percent ‘interest’ to be put into grain banks. Simple woven bamboo baskets sealed with thick clay-and cow dung daub, the grain banks are managed by Kondh women and opened only in times of need. Just before the monsoons all the seed varieties are sown on the same field. These are a combination of niger (an oilseed), sorghum, millet varieties like finger, foxtail, pearl, pigeon pea and horse gram along with creeper beans. Some of these will ripen in 90 days while others will take 120 days before harvest. According to leading Indian agro-scientist M.S. Swaminathan, mixed cropping – that involves several cereals, pulses, oilseeds, vegetable and fodder crops – retards buildup of insect pests. It is significant that tribal communities never use chemical inputs or even diesel irrigation pumps, and sell their produce in the local market.